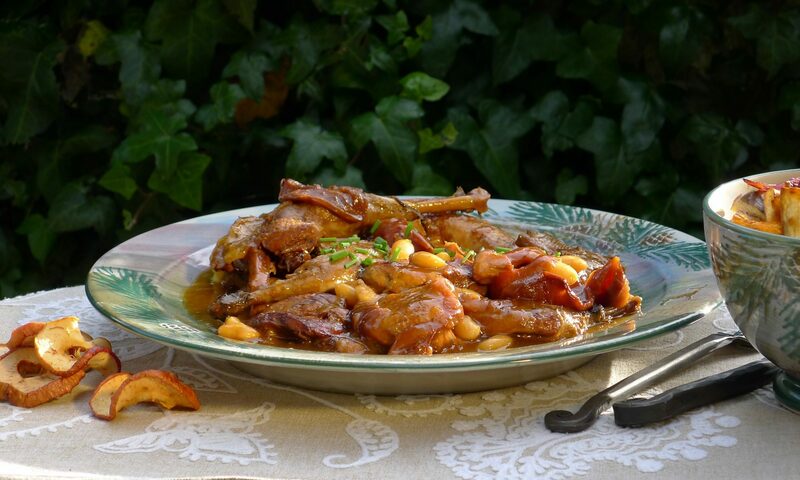 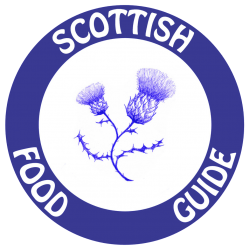 Scottish Food Guide is the ethical and independent award-winning guide – professional quality assurance for the best places to eat and the finest produce in Scotland. 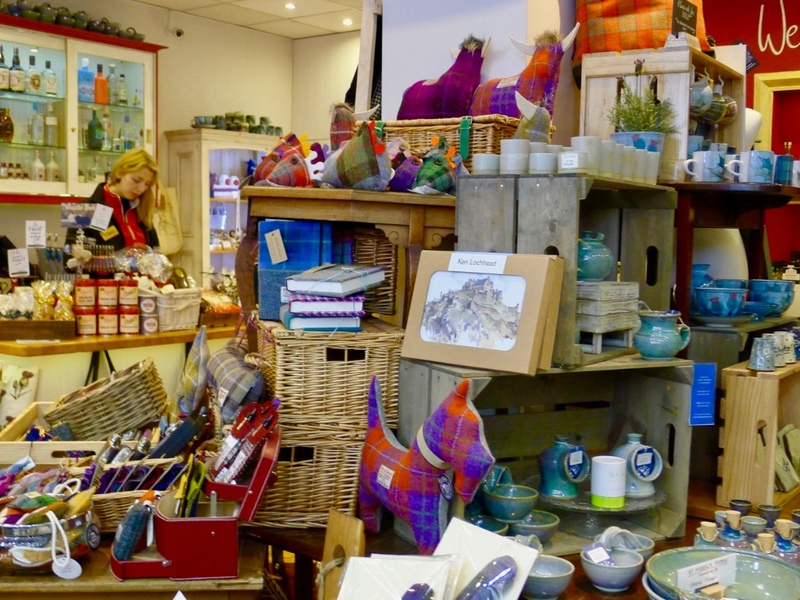 This picture postcard emporium for fine Scottish food and tipples is a must on any trip to Scotland and a great place to shop, for tourists and locals alike. 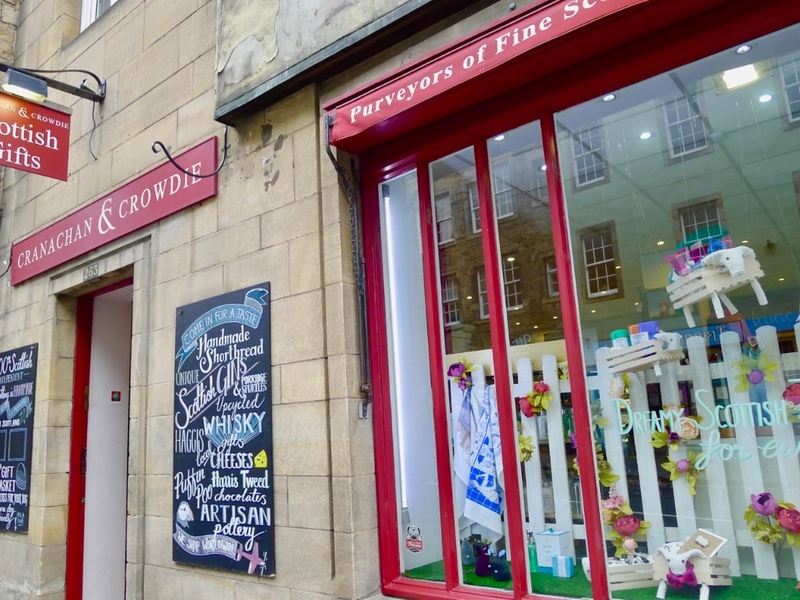 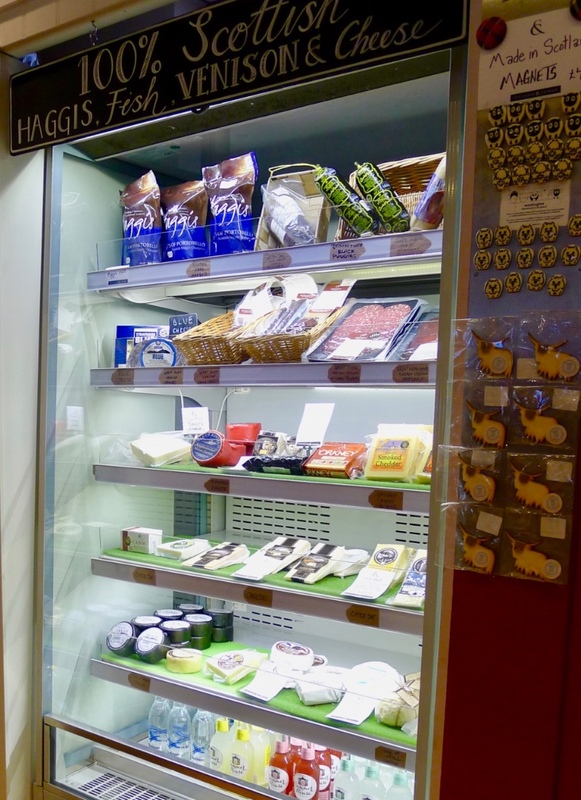 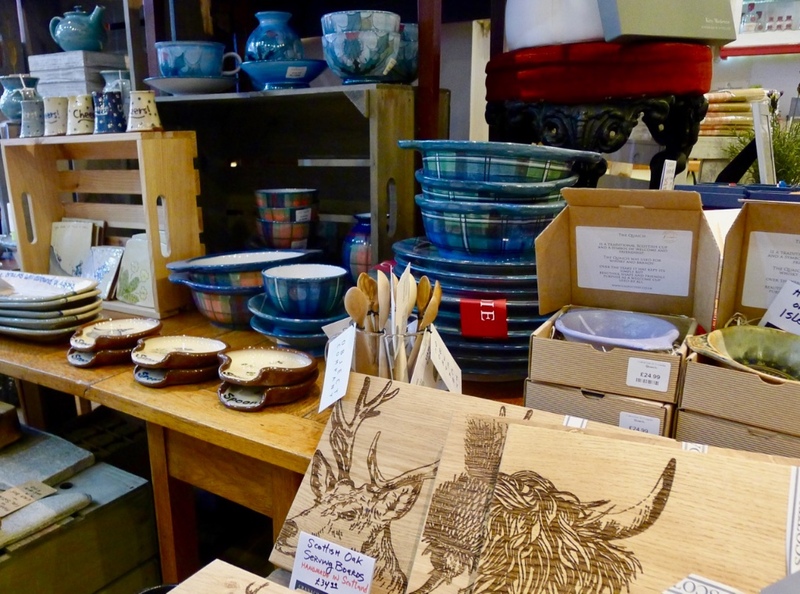 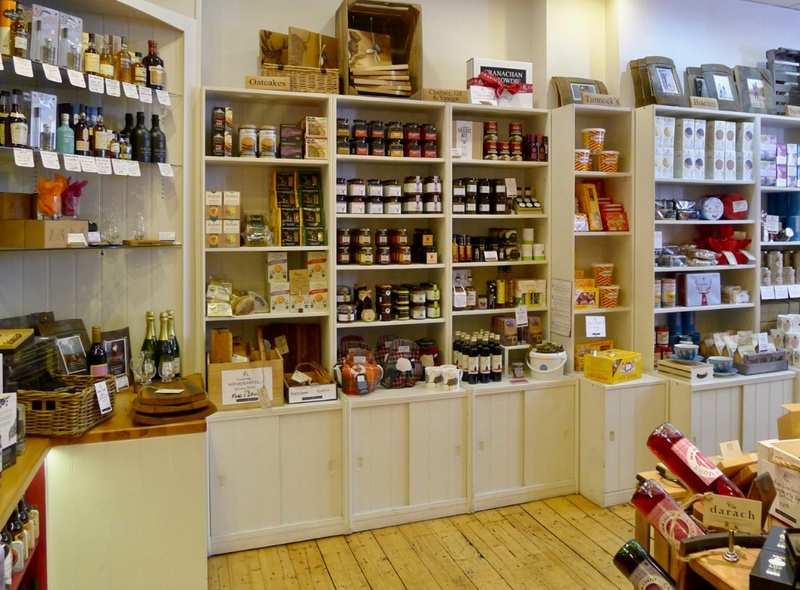 Located in the heart of Old Edinburgh on the route from Castle to Palace and Parliament it is the perfect place to tarry awhile and find top notch produce alongside hand-crafted wooden gifts made from whisky barrels, and Scottish ceramics. 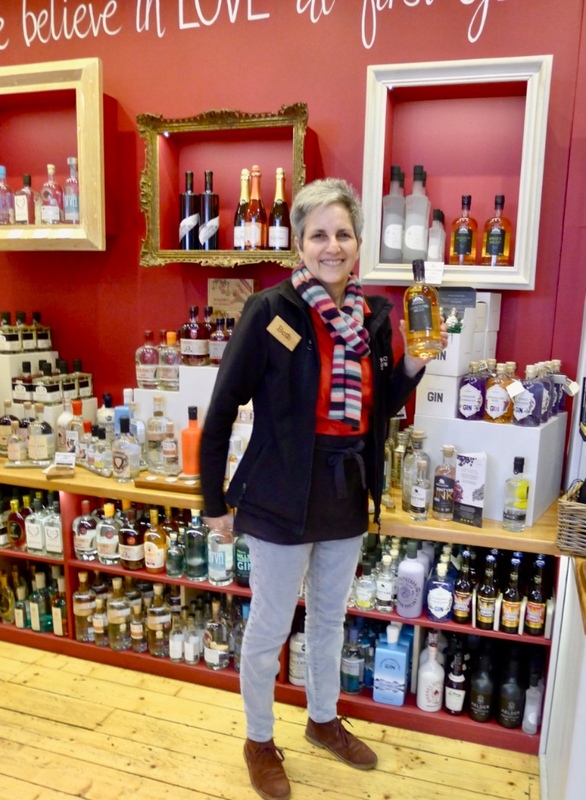 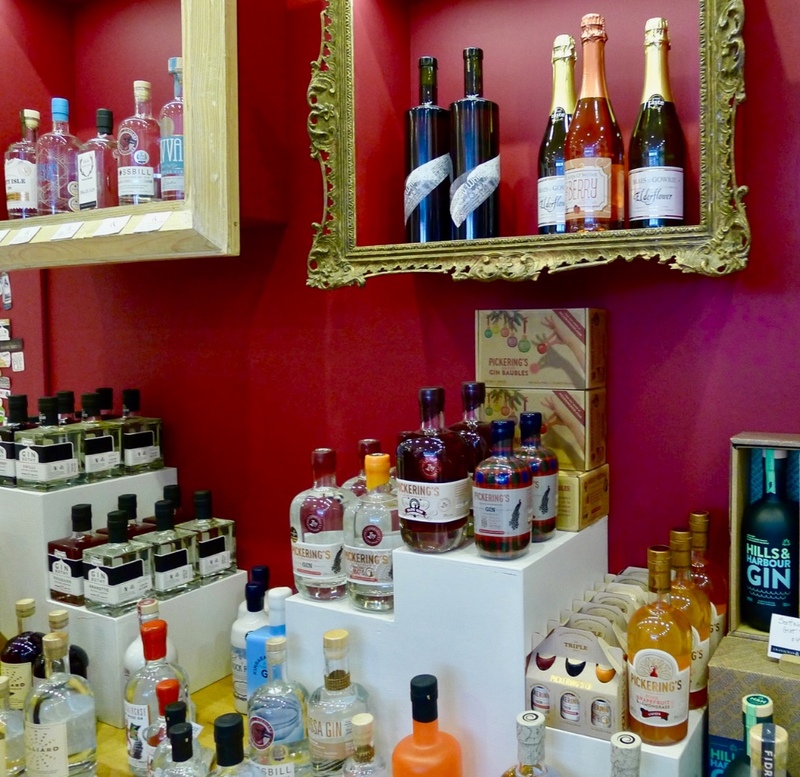 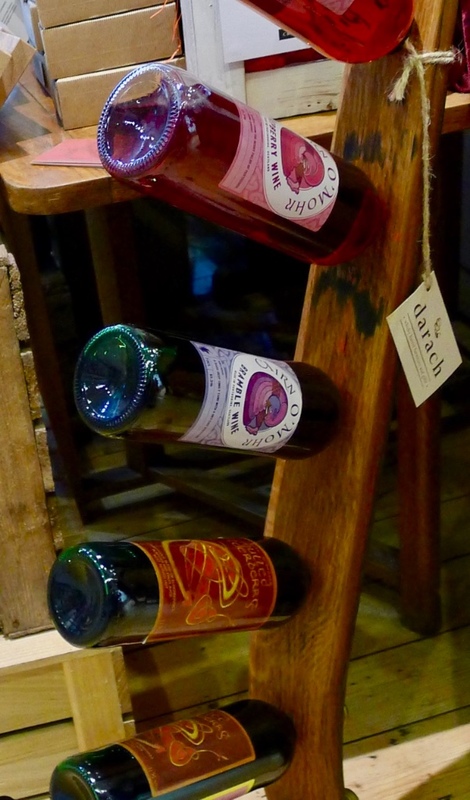 Their show-stopping window display will tempt you with artisan produce from all across Scotland: liqueurs, condiments, gifts, bakes and their famous hampers. 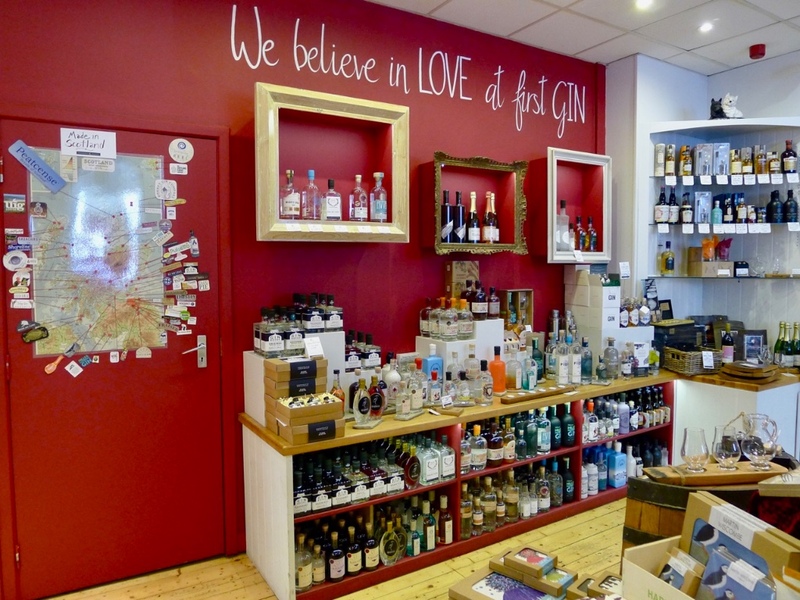 They are also a legend for their great Wall of Scottish Gins (with 40 unique gins and liqueurs!! 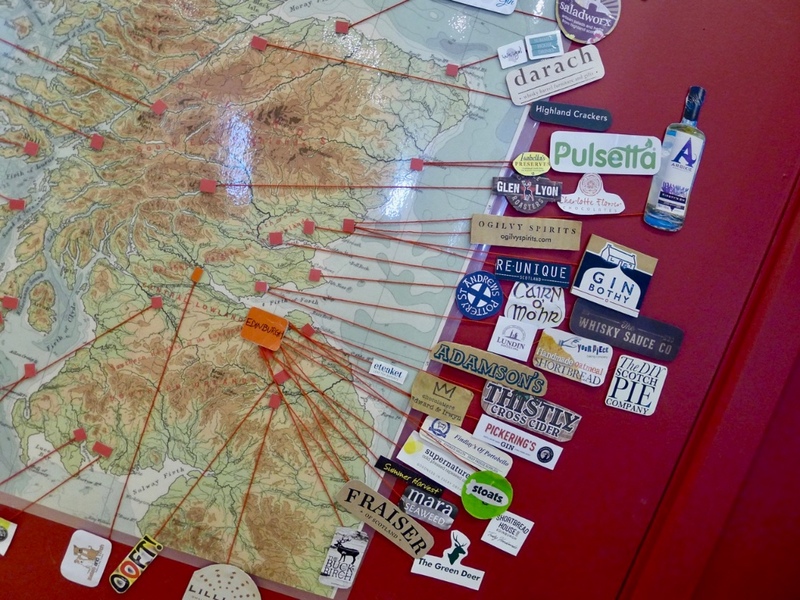 ), their Map showcasing where all their producers are, and their imaginative stock of gifts, all handpicked to be a wee bit different and very high quality. 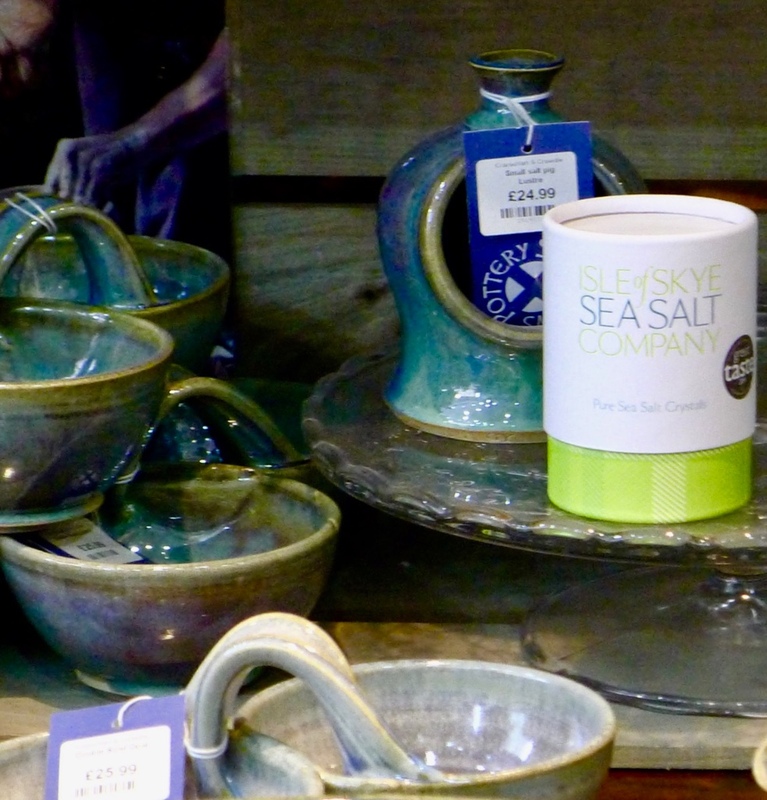 From dainty salt pigs for your Isle of Skye Sea Salt; tactile woods for platters, wine racks and chopping boards; teas and coffees, shortbreads and specialty bakes, heritage foods and hand made ceramics, plaid accessories, jams and mustards …the emporium is a cornucopia of eye candy with plenty to inspire you.